You don't have to think when something is this pleasurably good! (SPOT.ph) While Filipinos have always been acquainted with a side of itlog na maalat for any meal, it was only until recently that the salted egg craze hit us hard—and there’s still no escaping this rich explosion of flavor. Who would have thought that this ingredient would work so well on a potato chip or even in a pillowy-soft bun? Way before everyone started jumping on the salted egg bandwagon, it was already a mainstay in Asian menus, a winning dish just waiting to be discovered. 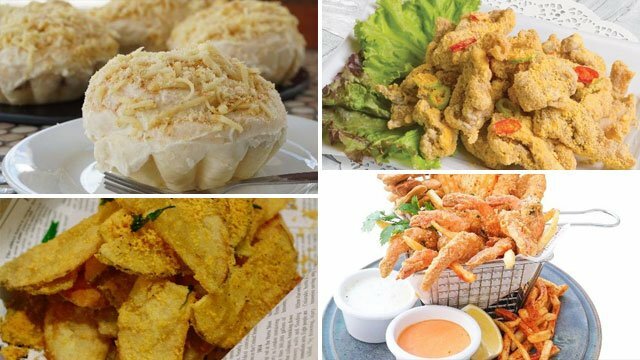 There are more than a handful of establishments serving this indulgent treat, so we’re making it easier for you by listing 10 places around the Philippines where you can get your salted egg fix, from savory mains to blissful desserts. 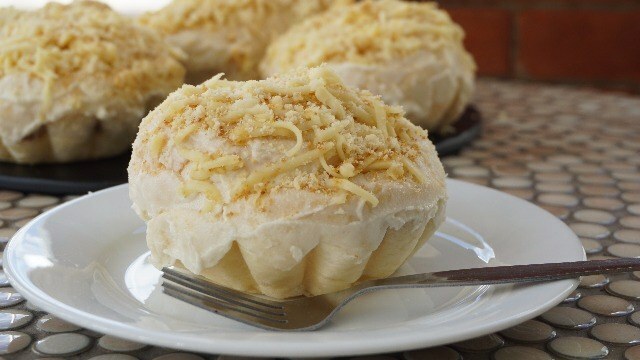 We’ve long known the great combination of salted egg and bibingka, but here’s a dessert idea you won’t soon forget. Banapple makes this buttery, sugary bread even more delightful with a touch of caramel and parmesan for a sweet treat. See a list of Bannaple branches. Who would have thought that salted eggs and salmon will taste good together? 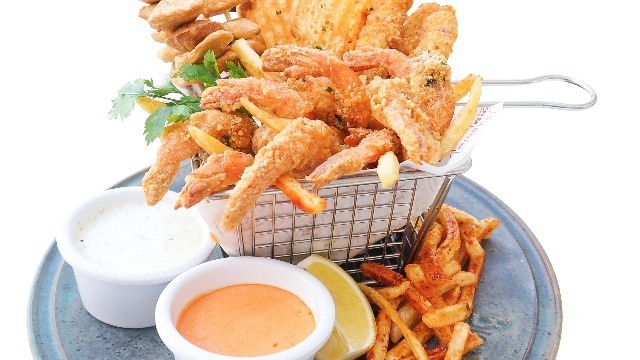 Mango Tree Bistro. 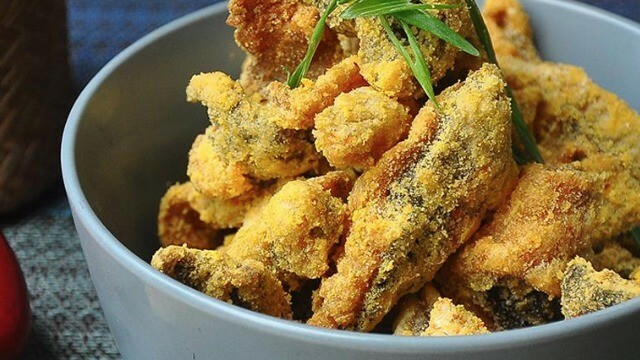 When crispy salmon skin meets salted egg, a burst of Filipino cuisine's true taste is bound to happen. Mango Tree Bistro is at Trinoma Mall, Quezon City. If heavy and tasty meal is what you’re after, then this uncommon chicken fillet dish is what you need. 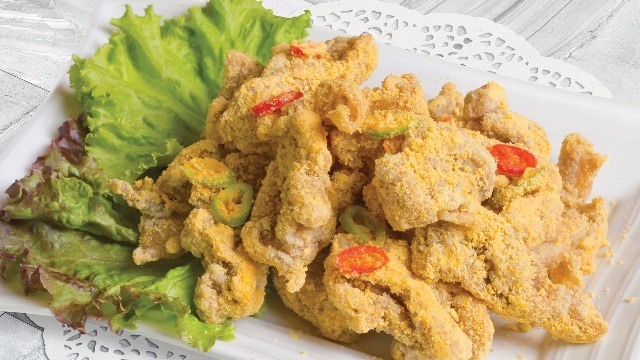 The taste of salted egg makes this seemingly simple dish delectable and appetizing. Fat Russel's Kitchen is at 35 Scout Castor Street, Diliman, Quezon City. 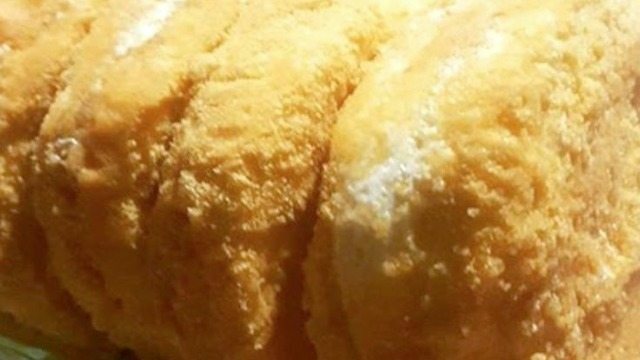 If you want to take your indulgence to the next level, head over to La Union for this deep-fried delicacy from the North. 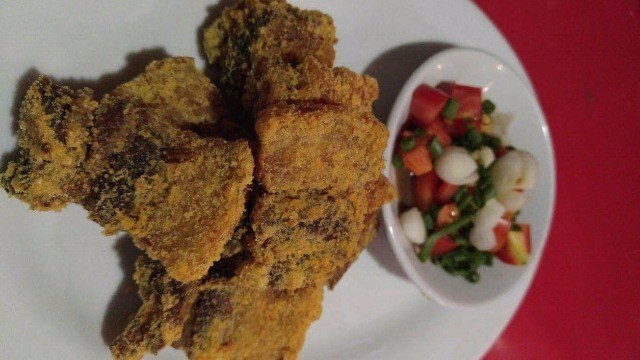 La Preciosa takes the crispy pork belly up a notch by adding the salted egg in all its glory. La Preciosa is at J. P. Rizal Street, Laoag City, Ilocos Norte. Did you know that this nutty cookie dessert could be infused with salted egg? Nathaniels is the place to be if you want to sample this irresistible cashew-meringue wafer, made even more flavorful with the addition of this egg yolk concoction. See a list of Nathaniels' branches. Here’s something even the kids wouldn’t mind digging into. Crisp chicken enveloped with salted egg will keep the whole family happy when you find yourself at this restaurant in Camarines Sur. Red Platter is at Magsaysay Avenue, Naga, Camarines Sur. If you still can’t get enough of salted egg on your chips, there’s Rue Bourbon to answer your cravings. We won’t judge if you can’t stop munching on these. See a list of Rue Bourbon branches. 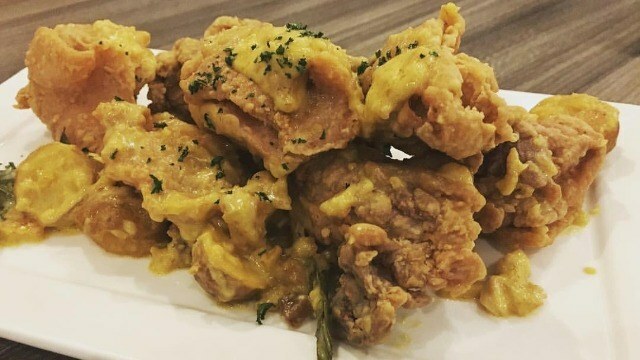 Diners at this CDO favorite aren’t missing out on the salted egg craze. Bigby’s Salted Egg Shrimp Popcorn also comes with lime dip and sriracha garlic sauce, fish ball sticks, and tortilla-crusted fish fingers. See a list of Bigby's Café and Restaurant branches. 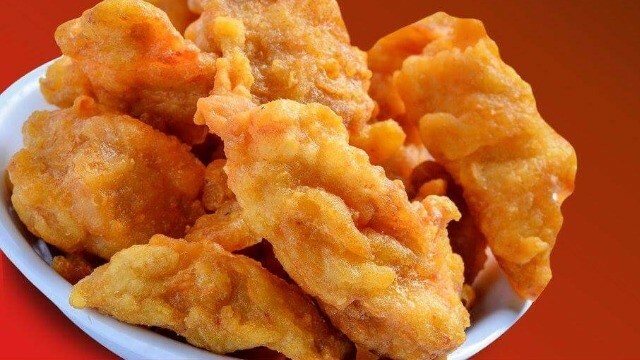 If you want to go back to the basics, a Chinese restaurant is your best bet for no-frills salted egg dishes. Harbour City will turn your everyday appreciation for this poultry into a lasting relationship. Harbour City Dimsum House is at Ayala Center Cebu, Archbishop Reyes Avenue, Cebu City. 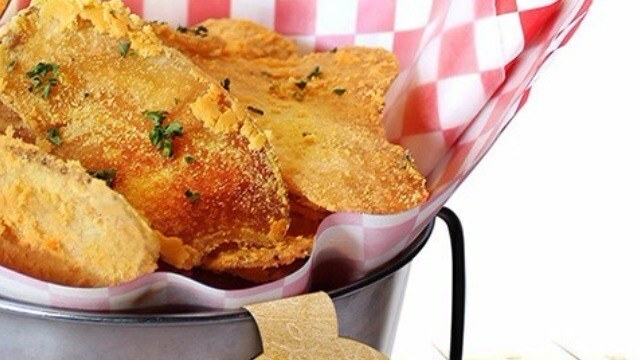 This flavorful treat is a must-try if you happen to visit Brewery Gastropub. 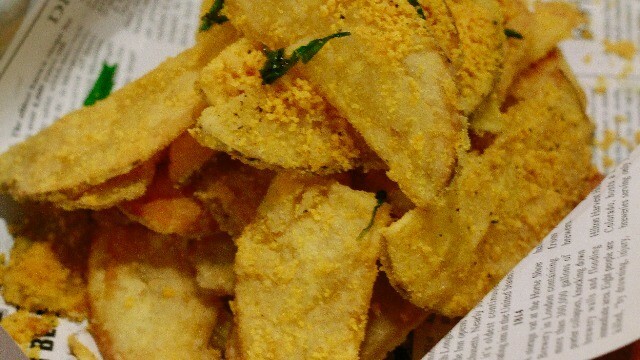 This gastropub in Iloilo and Bacolod reinvents classic potato chips with the help of salted eggs, and it's something your taste buds would love. Brewery Gastropub is at Manduririao, Iloilo City, and at Mandalagan, Bacolod City. The flavors and textures that are common to these dishes are all thanks to salted eggs. Any ordinary dish can become a delectable one with this true Pinoy preserved food product. When it comes to salted eggs, only your culinary imagination is the limit!